We reached out to Mr Bihani over email for comments on the small cap space and their view behind their timing to allow lumpsum investment in this fund. Gaurav Rastogi (GR): How would you put the recent under-performance of small caps in historical context? And what does it mean for expected returns going forward? Harish Bihani (HB): The valuations for small cap in the last few quarters has cooled off post the correction as compared to the last few years where the valuations for small caps were expensive. Historically, smallcaps show higher volatility in the short term, however for a longer period smallcaps provides good opportunity for wealth creation. We believe post the correction the small cap space has become favorable for long term investment and should be recommended for those investors who have good appetite for volatility and comes with a long indicative investment horizon. 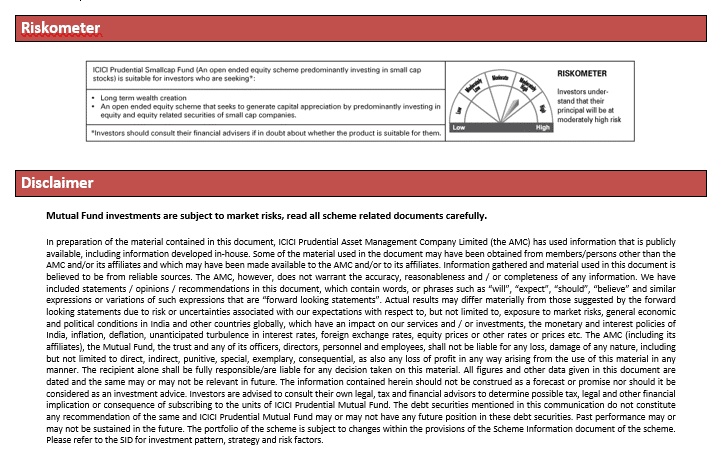 GR: What is the philosophy behind ICICI Pru Small Cap fund? And what is the investment process? Opportunity-Size of the Sector – Then, the expansion potential of the sectors or sub-sectors that the companies are present in are reviewed. The higher the potential, the better the chance of the stock being selected. Leverage-levels – Companies burdened by high levels of leverage or debt are filtered out. RoE (Return on Equity) – Companies having relatively low RoE with limited scope for any improvement in the future are taken out. Earnings Growth Potential – Companies having good earnings potential over the next three year period are considered. All the stocks in the portfolio are chosen methodically based on the above mentioned process leaving little room for individual biases and Fund Manager dependence. *The asset allocation and investment strategy will be as per Scheme Information Document. GR: Any particular sectors you are bullish on and why? HB: This is a pure bottom up strategy portfolio and hence we do not take sector calls. 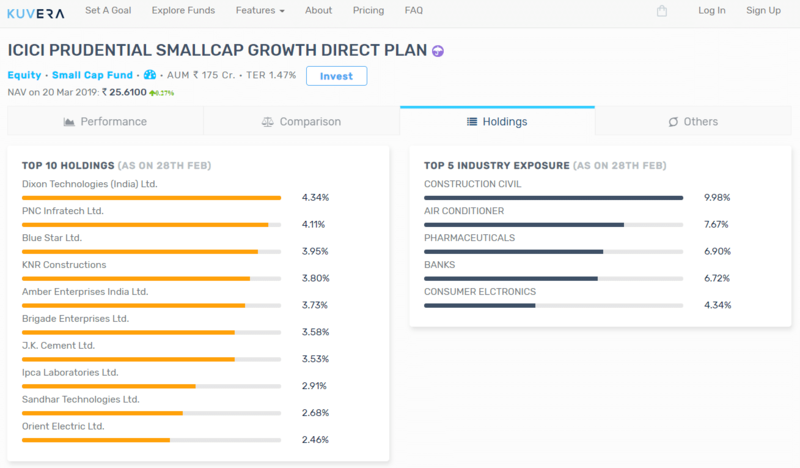 GR: What kind of investors should be thinking about investing in a Small Cap fund? HB: The scheme should be recommended for those investors who have good appetite for volatility and comes with a long indicative investment horizon. GR: The past 5 years have been really good for small cap funds. What kind of return expectations should investors have going forward from small cap funds. HB: We believe with the valuations getting cooled off and earnings expected to improve in the coming quarters, small cap space can be considered for investment. 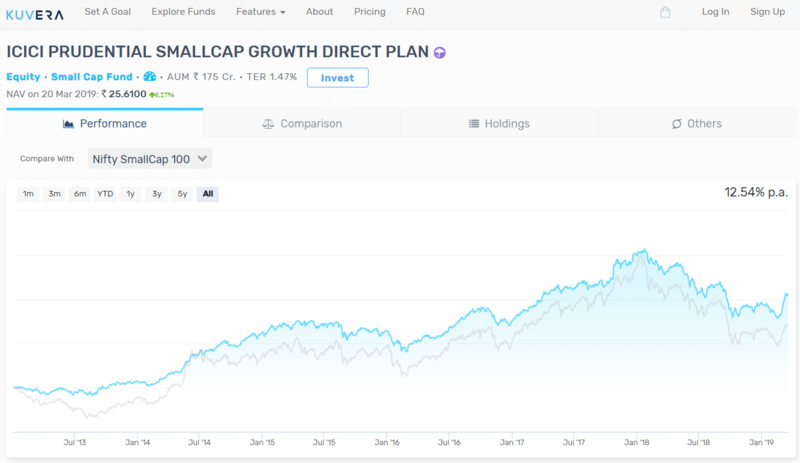 To add, small cap space normally performs well over a long cycle and keeping the same in mind small cap can be considered over the next 10 years for investments and wealth creation. GR: Now that ICICI Pru Small Cap has restarted lumpsum investments, how do you think the other AMCs which still do not allow lumpsum investments in Small Cap funds are going to react? GR: Thanks Mr Bihani for answering our questions. Starting late 2017, few fund houses stopped accepting lumpsum investment in their small cap funds. 7 personal finance suggestions from a 30-year-old to a 20-year-someone. Shilpi Johri, author of “Money, life & you”, on financial planning.